This post describes a Small Hands Creating Hope Project for the American Cancer Society. MaryAnne from Mama Smiles will celebrate 30 years in May since she was diagnosed with pediatric cancer at 22 months of age. In honor of the occasion, MaryAnne has put together a Small Hands Creating Hope book as a fundraiser for the American Cancer Society. The eBook and paper book have activities from 30+ kid bloggers, including me, full of ideas for children to make their own butterfly pictures and projects and give them to people suffering from cancer. 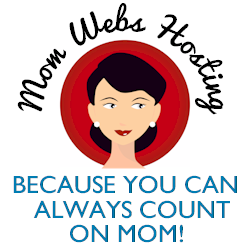 See the links to participating blogs, below, and photos of the projects. As a teacher, many times the classroom was affected by people we knew who developed cancer, including students. What to do? How to help? What could children do, anyway? 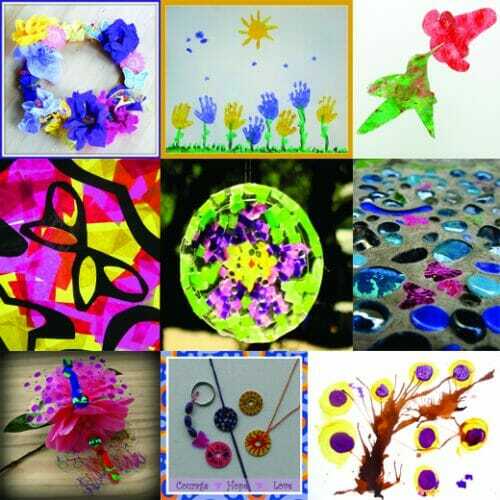 The participating blogs have wonderful ideas of things children can make, which would be too hard to think up when the illness strikes. The theme of the book is butterflies, with the colors yellow for hope and purple for cancer survivorship. The book has many inspirational stories. Here’s the link to MaryAnne’s post today: Small Hands Creating Hope. Deb Chitwood from Living Montessori Now has already published her post about the Small Hands Creating Hope project, and has a free printable PDF counting book on her blog post. She also has a Word Doc version so teachers and parents can edit the book to fit their own classes and children. The picture of my contribution to the project is below. 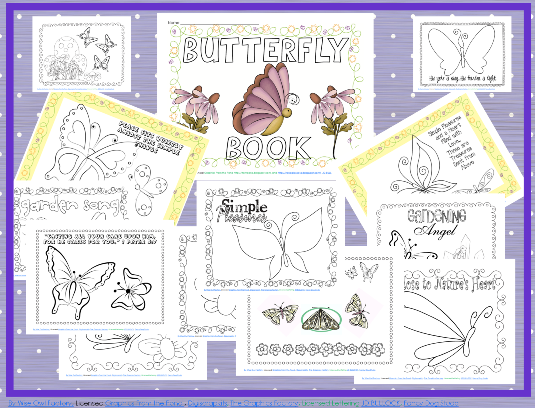 Click here for a free sample butterfly page. This idea is beautiful. The butterfly is also used as a symbol for infant loss. I hope that you have great success raising funds for the American Cancer Society. So glad you are part of this project, Carolyn!